In addition to providing you great pricing on your computer equipment purchases, BlueStor Networks provides excellent Flat Rate Pricing for Servers, Printers, Desktop Computers and almost anything related to your network operations. We can individually price Extended Service Contracts on you equipment and/ or provide turn-key Maintenance Program Pricing (including spare and loaner equipment). While some companies require complete outsourced IT services , many companies only require assistance with Printer Maintenance, or Desktop Hardware Repair Services. BlueStor Networks has extensive experience in providing these services to many small businesses as well as to large State and County Multi-Site, Multi-City networks. As always, we provide free inventory and equipment analysis for the best pricing possible. Projects are a group of definable tasks that require a large amount of time, effort, and planning to complete. Most other firms count on a project continually expanding, what the industry calls scope creep; in fact they depend on it. Scope creep means more consulting charges and the eternal project that never ends. Without proper management most projects will have some sort of scope creep causing them to run over budget. BlueStor Networks eliminates one of these pains by providing flat rate pricing for the project. Unlike other project management companies who give you an “estimate” on hours and pricing, we’ll give you a flat rate for the project. We guarantee results by defining and maintaining a reasonable scope definition and delivery. This gives you peace of mind knowing that your time and money is safe with us. 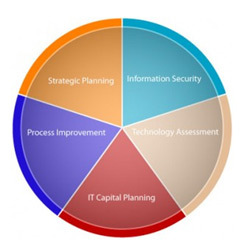 Our Certified BlueStor Project Management Professionals (www.pmi.org) will assist you in defining your project. Whatever your project, we can help you solve the needs of today and the future. Interested in learning how to make technology actually work for you? Signup for our Free Problem prevention Audit.